That's is the summer is over and we are now back into the "routine" of school. Drops offs and uniforms ironing. Reading books and after school clubs. Breakfast club and school runs. And you biggest boy are going to year 1. Already we have noticed a change in pace. The way you are learning has amped up a gear as you discuss science experiments and learning about Christianity. After our rocky summer I hope that you find some calm back at school. The social interactions you have been craving. A chance to be you with no mummy behind you prompting those answers. For you to grow into that inquisitive boy you are. To develop your interest. What excites your brain. What do you want to learn more about. Your reading and writing are improving weekly. As you write us notes or read stories. I want to see the person you will become. You my little bundle of energy bouncing about. That I shout at please stop jumping. Or call your name asking you to come back here. You have so much rocketing around inside you. Never change boy. A little less jumping and the ability to get dressed without me repeating it 20 million times would be nice. But never change. And alway my darling be you. Your crazy little thing. 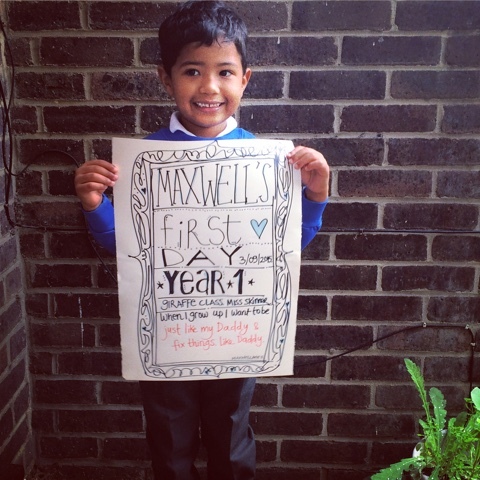 Have a wonderful year 1 darling dude.